In the current ZEITmagazin the article "Das Ende von @was" ("The end of something") (german; online: http://www.zeit.de/2011/45/E-Mail) predicts the end of e-mail: "The e-mail just now suffers the same fate as the letter: it is abolished." 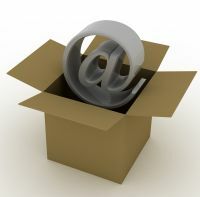 "According to a study by U.S. market researcher ComScore the e-mail use in the U.S. has decreased by eight percent in 2010. In the group of 12- to 17-year-olds the exodus of 49 percent was strongest, but even the 45- to 54-year-olds emailed twelve percent less." In times of real-time communication (e.g. voice chats or video conferences), communication in social networks and other online tools e-mail is not needed as much as before. Representing the office use Atos CEO Thierry Breton is cited: "Our managers spend 5-20 hours per week reading and writing e-mails." E-mail is endangered and should not be considered the "best way to work and exchange". We think that also latershare will help to reduce the number of unnecessary e-mails. For certain communication situations latershares are simply better suited. We are pleased that a prestigious publication like DIE ZEIT creates awareness for change - away from e-mail, to new forms of communication. latershare 2013 - All rights reserved.